Manufacturing organizations strive to produce high-quality products and go through rigorous processes to do so. Achieving and maintaining quality takes effort and systematic planning, and most manufacturing companies have strict quality guidelines in place to ensure their products not only meet internal standards but also live up to the expectations of customers. The average American dines out 5.9 times every week and spends $36.40 per meal, according to a 2018 report from Zagat. That’s over $200 a week spent on restaurant food and over $800 billion in annual restaurant sales. You’ve heard the old saying: “If you want something done right, do it yourself.” This sentiment still rings true for many tasks, but with the rapidly expanding scope of modern technology, it’s just as likely there’s software out there that can do the same thing as well as (or better than) a human can. You’ve done your research and gone through the long process of choosing the perfect software for your team. Although you might be thrilled to launch a new solution, your team might feel otherwise. Convincing employees to get excited about adopting a new way of doing things can sometimes be a difficult process. Happy April! 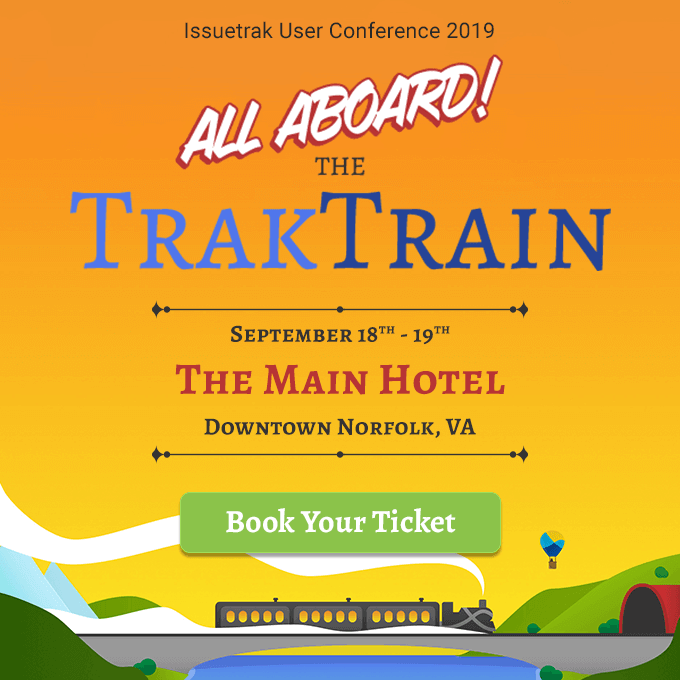 We’re ringing in spring with a brand new product update: Issuetrak 11.3! This update comes with a number of optimizations, including improved search, changes to the Task Manager, and a number of security enhancements. Your customers mean the world to you -- which is why you’re looking for the best customer support software you can find. But what exactly makes customer support software “good”? Is it a certain feature? An intuitive interface? A special something that you just can’t put your finger on? Imagine your organization just installed new issue tracking software. You boot up the program and begin to build your first issue submission form. However, you soon realize that you can only set the form up a certain way, and with limited types of fields that are pre-determined for you by the software. You can’t even rename the issues to “tickets” or “complaints” or “requests” (or another term your team may use for these end user submissions).